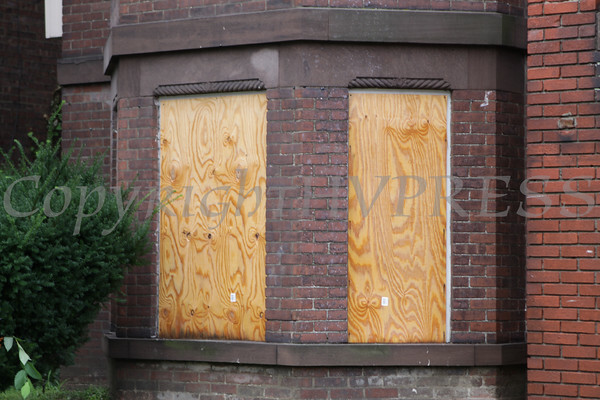 Some residents in the City of Newburgh, NY boarded up windows to protect them from the predicted strong winds from Hurricane Irene on Sunday, August 28, 2011. More than 100,000 people lost power during Hurricane Irene, which was downgraded to a Tropical Storm by the time it hit the Hudson Valley region. Hudson Valley Press/CHUCK STEWART, JR.